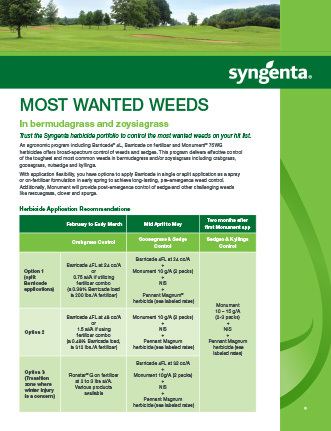 View the Labels/SDS information for Monument 75WG Herbicide. 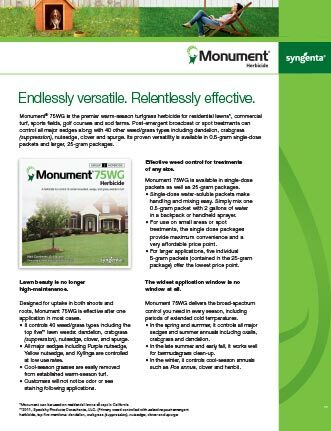 As versatile as it is effective, Monument herbicide is the premier warm-season turfgrass herbicide. 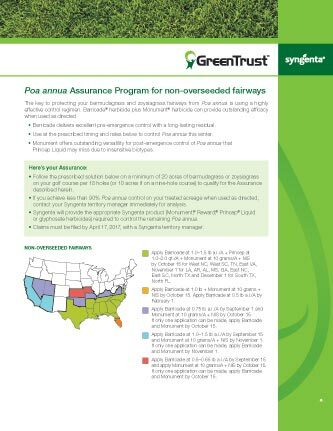 Monument®, Greencast® is a trademark of a Syngenta Group Company.